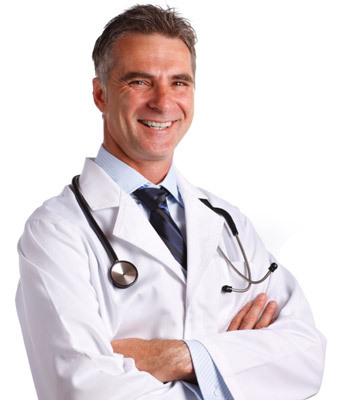 When you begin to consider becoming a part of a testosterone replacement therapy (TRT) program, it is always wise to become educated on how to use testosterone injections. Below is a 20 step, very comprehensive guide to the process. Questions, concerns and further inquiries about using these kinds of shots are always welcomed by our clinical advisors here at Greenberg Health. Your well being is our number one priority. Take the first alcohol prep out of the paper and wipe the top of the vial of depo-testosterone carefully. You will do one single swipe with the pad across the top of the vial. Throw the alcohol pad away. Open the sterile syringe and a sterile needle. Attach the needle to the syringe. You will twist the needle (capped) onto the syringe until it is tight. Remove the cap from the needle and draw up the same amount of air as the medication you will be injecting. The goal here is to draw the same amount of air that you will be removing in testosterone. This will avoid creating negative pressure into the vial. Stick the needle straight down into the depo-testosterone vial and draw up the amount of medication that was prescribed for you. Turn the vial of medication upside down so that gravity takes its course. Draw up the medication very slowly. Since most testosterone concentrations are viscous, drawing up the medicine will take some time. Use two hands. When you have drawn out enough medication, slowly pull the needle out of the vial. Since there will sometimes still be negative pressure in the vial, keep your hand on the plunger. There may be some bubbles in the solution. Use your pointer finger and thumb to tap or flick the bubbles up to the top near the plunger. This is where they will remain. At this point, with the bubbles near the plunger, you need to make sure that you drew out enough medication that was prescribed for you. Sometimes you will need to repeat some steps to get more medication from the vial. Before getting more medication out of the vial (if needed), draw in some extra air to the syringe to clear the testosterone medication inside. You did this earlier too. Put the cap back on the needle and twist the needle off. This used needle must be discarded into the sharps container. The second needle will now be opened and put onto the syringe that contains the medication. Twist the needle (capped) onto the syringe. Take the cap off of the needle and eject some of the extra air that you drew in earlier. Push the syringe up slowly. As a conservation technique, let just a small bubble of air remain in the syringe. Turn the syringe upside down and tap the bubble to up towards the plunger. Put the cap back on the syringe and set it aside. It is ready to use. Now you will get your injection site ready for delivery of the medication. This is a very detailed 20 step process of how to get your depo-testosterone needle ready for injection. It is a wonderful guide to teach patients of TRT how to use testosterone for the first time. After you accomplish preparing your injections for delivery into the body a few times, it will become second nature and very easy to do. Although it is exciting to get started with your testosterone replacement therapy program and you are anxiously awaiting the positive benefits of treatment, it is important to take your time while preparing your shots. Keep the area sterile, the supplies sterile and pay close attention to what you are doing. You need to follow each step as outlined, as this will minimize negative side effects or bad reactions to the shots due to bacteria getting into the body. Now it is time to learn step by step how to give depo testosterone injections to yourself. The shots will be delivered in the privacy of your own home at your leisure. We are going to tell you how to do it in the below detailed guide. We are also available via phone for technical help and support. Remember that depo-testosterone shots should only be delivered into a muscle in the body. The muscles that are most often used are the deltoids, the gluts and the thighs. There are specific places in those muscles that should be used as well. We will share that below as we explain how to administer your injection into the thigh muscle. In addition, depo-testosterone injections should never be delivered into a vein. They are for intramuscular use only. Your syringe should be ready for your self injection and set to the side. You will never use the center or inside muscles, but only the outer muscle (the Vastus Lateralis). This is the muscle that will take the injection the best. The outer muscle has much more meat on it, so it is the best place to inject with the least amount of pain. Your second alcohol prep pad will now be opened and you will wipe your injection site. You can pick anywhere along that outside muscle. Move the alcohol pad around in circles outwardly from a central point. The point of this is to move any bacteria that is on that thigh area away from where you will inject the needle. You will use your whole hand to grab a meaty part of that outside muscle and pinch it while you sterilize it. At this point, you will get the bandage ready to put over the injection site, even though you have not given yourself the shot yet. A great way to do this is to unwrap the bandage, pull one side of the paper off it and stick it to your hand. This way, you can get to it quickly after you inject the medication and remove the needle. For those who are not comfortable doing it that way, you can put the tip of the needle to the skin and start slowly pushing it in. Eventually your skin will give in and the needle will go all the way into the muscle. There is no more pain doing it this way that just in one quick puncture. For one inch needles, push it all the way in until it cannot go any further. If the needle is longer, you will stop short a bit. Let go of your thigh once the needle is all the way in the muscle. Grab the plunger and aspirate. This is the most important step. If you draw blood, pull the needle out a little or push it in a little more and begin pushing again. Push the medication into the muscle very slowly. When all the medication is in, you will hear a noise that may sound like flatulence. This is the air bubble that you left in during the preparation of the needle and syringe process. The point of this air bubble is to ensure that all the residual depo-testosterone in the needle gets injected into your muscle. You need to take your full dosage that was prescribed to you and this ensures that will happen. You need to allow the needle to remain in the muscle for at least 30 to 60 seconds after injecting the medication. This is so that the testosterone can move away from the injection site and into the body. Pull the needle out and quickly take the bandage from your hand and cover the injection site. You are done. After you have delivered your injection and the bandage is on the skin, do not rub or massage the area vigorously. Apply only soft pressure to the area for approximately 30 to 60 seconds. Put your used needle and syringe into the sharps container immediately. The above 14 step guide for how to use testosterone shots is one of the most current and up to date, comprehensive guides on the Internet. Always check with your doctor or clinical advisor as to how to use testosterone without side effects in order to be as safe as you can possibly be. Here are some general tips about the process of TRT, who qualifies for this kind of treatment and about our depo-testosterone injections. When a patient calls Greenberg Health and says, I want to use testosterone, they must first be tested to make sure that (1) they have low T and (2) they are in otherwise good health in order to be a good candidate for TRT. This will be discovered through blood work, a physical exam and a medical history. All three things are mandated by law to get done before a prescription for depo-testosterone can be given out. Patients must be over 30 years old and understand that only those with low T will have the chance to qualify for TRT. TRT is not a weight loss program or used for sexual enhancement or muscle growth only. Patients will have their first initial consultation where they will learn about our program, our advisors and our doctors. They will learn that our licensed physicians will always be providing medical supervision to our patients to make sure that everything goes smoothly as they are undergoing TRT. Patients are advised to consult with their advisors if anything does not feel right. They can also call in to the clinic to ask questions about what benefits they should be experiencing, to share their results, to find out how long is it safe to use testosterone or anything else that they want to know. We will only sell you the best, top quality, authentic medications for TRT. We will share the answers to all of your questions during the first initial consultation (which is free of charge), but not all inquiries are made at that time and questions may come up throughout therapy. We will be here for you to help you with following the guide to how to use depo-testosterone and for anything else therapy related. Our number one priority is your health and success with TRT.